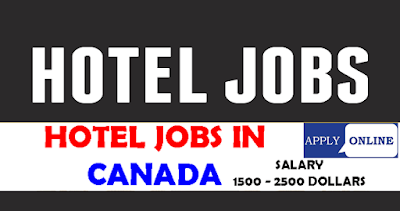 Hotel Jobs in Canada.The hospitality industry across Canada is very strong, especially in major tourist cities like Vancouver, Toronto and Montreal and therefore there are plenty of jobs working in a range of capacities in hotels all over the country. If you are interested in working in the Canadian hospitality industry, you will want to more about the types of hotel jobs in Canada and how to go about finding them. This article will help you to learn more about how to secure your chosen hotel jobs in Canada. What Types of Hotel Jobs in Canada are there? The hotel industry boasts a huge range of vacancy types from front of house to behind the scenes. Whether you love interacting with a broad spectrum of people every day, love a role where attention to detail is paramount, or simply enjoy organizing, there is a hotel job to meet your needs. 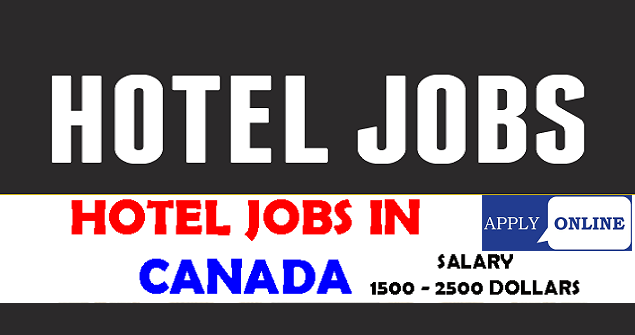 There are hotel jobs in Canada at every point in the pay scale, from entry level positions in pottering and housekeeping to management roles. There are vacancies that require a wide range of skills, so no matter what your work experience you are sure to find a hotel position that suits you. Most hotels have at least one restaurant, so there is always a need for qualified and experienced kitchen staff, from kitchen porters to chefs. Front of house staff is in contact with guests on a regular basis and perform customer service roles. These include reception desk positions, bar tending opportunities and restaurant waiting staff. Responsible for cleaning and preparing guest rooms and public areas, there is always high demand for this type of role. Like any business, hotels require management teams for all aspects of their function as well as administrative support for those positions. There is also frequently a demand for coordinators to arrange events, functions and weddings. There are several ways to seek out hotel jobs in Canada. One simple way is to use the internet, where jobs in the hospitality industry are listed every day. Many websites make it even easier to find your dream job by allowing you to apply online. There are also many agencies dedicated to finding high quality hotel staff and this represents an easy way to find employment as you will simply have an interview with agency staff to outline your skills and requirements, leaving them to seek out the vacancy that you are most suited to. You could also apply to hotels directly - many large chains advertise vacant positions on their websites. The necessary qualifications depend on the role you are applying for. For some lower tier positions such as housekeeping, you may simply require enthusiasm and a basic level of education while for other more complex roles it is likely that you will have to have a relevant qualification in hospitality or tourism as well as several years of experience in the field. Requirements will vary depending on the hotel itself. You will also, of course, be required to have a valid Canadian visa and work permit in order to be eligible for employment.